With its practical design, the Espresso is a ‘value for money’ barrier system. 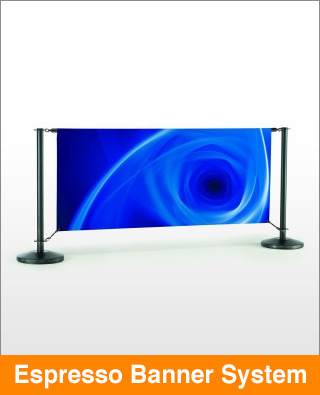 Hard-wearing black coated posts and bases support the sturdy graphic bar which suits traditional loop graphic attachment secured using bungee fixings. Ideal for any location from coast to city.